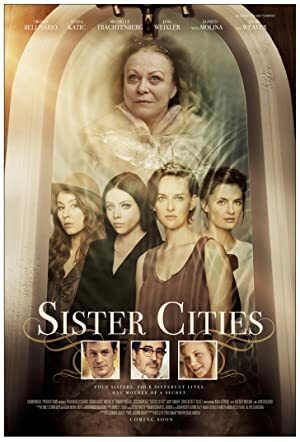 Sister Cities (2016) – What's New on Netflix Canada Today! Four estranged sisters reunite after their mother’s alleged suicide. Mary Baxter (Weaver and Smart, at different ages) led an enviable life, traveling the world as a young dancer.She was blessed with four daughters from four different fathers, each as unique as the cities they are named after: Carolina (Katic), Austin (Weixler), Dallas (Trachtenberg) and Baltimore (Bellisario). After Mary’s death, her daughters reunite in their New England family home to mourn.As the local police investigate the circumstances of Mary’s death, old animosities among the sisters resurface, and a dark secret threatens to tear the family apart. Faced with a horrifying truth, the estranged sisters must choose to either turn their back on the only family they have known, or risk everything to protect one another.